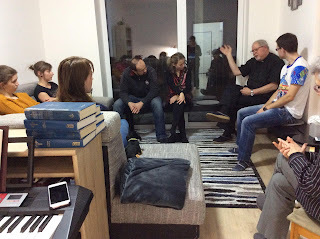 Last week my husband and I traveled to Olomouc, a town in the eastern part of the Czech Republic, to meet with our missionaries there who have formed a group of Czech college students to learn English. This English Talk Group wanted to have a discussion about the traditions and meaning of Christmas, so we were invited to attend. We went to explain the theological importance of the coming of baby Jesus on Christmas. When he opened the meeting, my husband asked the college students to explain the meaning and traditions of Czech Christmas. We needed to know where they were in their understanding so we could expand their knowledge. We were pleased to hear that they were very familiar with the facts about the birth of Jesus - Bethlehem, Mary, Joseph, shepherds, angels singing, three kings, etc. All the churches have a nativity scene in them. Many people go to a church on Christmas Eve to see it or attend the midnight service (the only time they'd attend church all year). The disturbing thing to learn was that Czech children get presents from the "Little Jesus" or Ježíšek. They even write letters to Ježíšek telling him what they'd like for Christmas. Ježíšek comes to houses during the big Christmas Eve dinner and brings the presents. Then he rings a bell before he leaves so that everyone knows he's been there. After that time, the children go into the room by the Christmas tree and open the presents that Little Jesus brought them. We found this rather disturbing. The children are taught the story of the first Christmas, but it's turned into a fairy tale by the visit of Ježíšek bringing presents. It's no more real - or important to their daily lives than the Tooth Fairy. This tradition goes back 400 years, predating the Communist rule here, but I'm sure the Communist leaders loved the fact that the Baby Jesus was demoted to fairy tale status. It's not hard to dismiss religion if it's a story told to children that they find out is obviously not true when they get older. After the students discussed all this with us, my husband asked, "So what?" Why would this Christmas event of the birth of Jesus be known to us centuries after it happened just so children would think that he brings presents to them? Totally missing is the true importance of Christmas, the birth of our Savior from sin. Where is the truth that this Baby Jesus is the Son of God who came down to earth to die on the cross to forgive our sins? 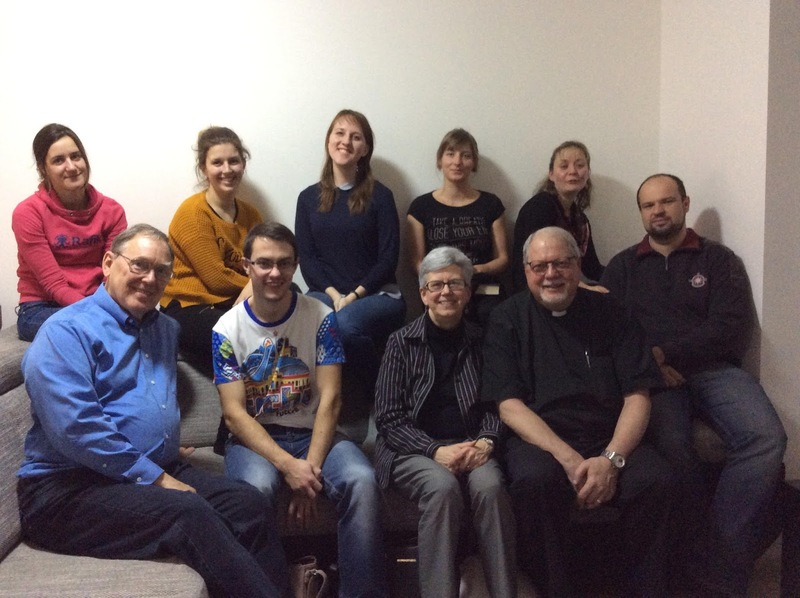 We are hoping that we will be able to share the Gospel with this English Talk Group in the months ahead so that they can come to know the true importance of this Christmas season.